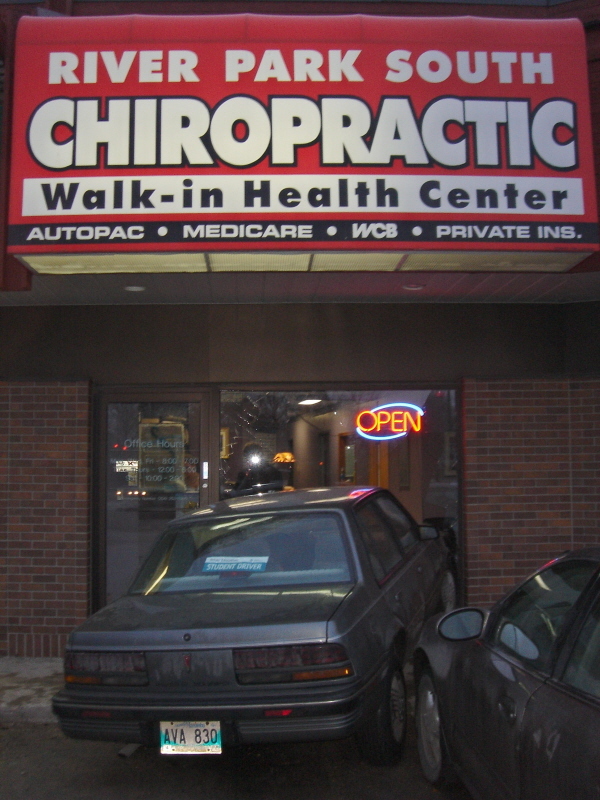 You've heard of drive-thru windows for greasy burgers and bank withdrawals, but what about back adjustments and acupuncture? A driver plowed into the lobby of a St. Vital chiropractor's office Wednesday night, transforming the walk-in clinic into a drive-thru clinic, employees quipped yesterday. "We are so lucky to be able to chuckle about this, considering what could have happened," said Dr. Audrey Toth of River Park South Chiropractic Centre, at the corner of St. Mary's and Britannica roads. "As a parent you say thank you to the guardian angels that were working overtime." She said it's a miracle no one was hurt because the car, which took out a half-wall and window, narrowly missed a father and his three young kids. The impact hurled jagged pieces of shattered glass down a hallway and toward a desk where chiropractic assistant Sarah Fonseca sits. "I'm going to church on Sunday," said Fonseca. "It sounded like a car blowing up in the parking lot. If she would have hit seconds earlier she would have taken out the kids," who had been sitting in chairs the car hit before it made its grand entrance. Toth said a 16-year-old girl who has her learner's permit was behind the wheel. She was in the car with her grandmother and two boys. Toth was told the girl accidentally stepped on the gas pedal while she was parking, se nding the car into a vehicle parked next to it and then the office. "She was very shaken up," Toth said. "I said 'This is your first life lesson. This kind of stuff can happen to anybody in the blink of an eye.'" 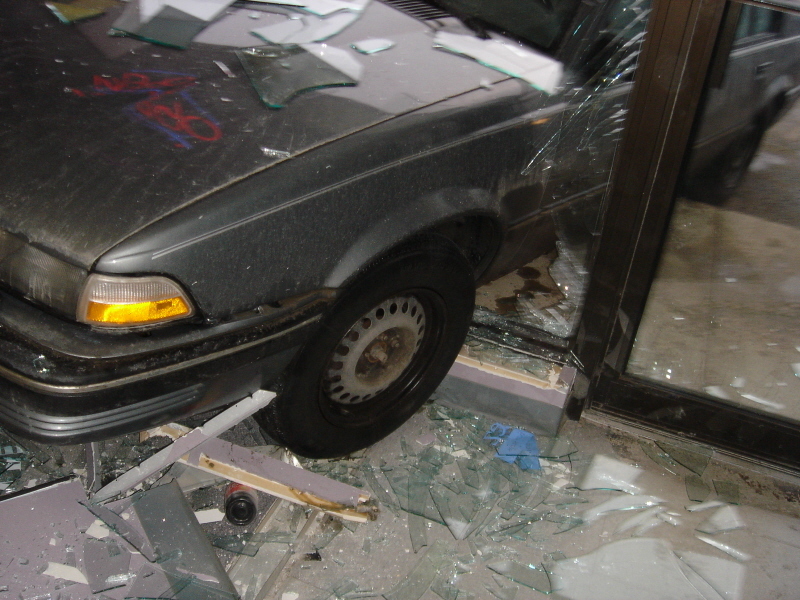 Pictures of the wreck show a Manitoba Public Insurance "Student Driver" warning tag in the rear window of the Pontiac Sunbird. Winnipeg police spokeswoman Const. Jacqueline Chaput confirmed the girl has a learner's permit and was driving with a qualified supervisor. It's unknown if charges will be laid. Wood now covers the gaping hole in the clinic, which Toth and her husband, Dr. John Toth, operate. Insurance is expected to cover the cost of repairing the damage.